Although the hype for virtual reality has come and gone, there are still many developers creating new experiences that seek to immerse players in ways achievable only in VR. We’ve seen the medium evolve across all genres of games, offering more features and gameplay variety than ever before. Now in 2019, there are more great VR titles than ever, with many of them available on Steam. So we thought we’d highlight some of the best games for anyone with a headset that’s looking to experience something new and exciting. Make sure to check back as we’ll be updating this list in the future. If you’re a fan of VR games, check out our list for the Best PSVR Games to Play in 2019 for some great gaming recommendations. Vacation Simulator is the latest game to come from developer Owlchemy Labs, best known for the hilarious and quirky VR title Job Simulator. 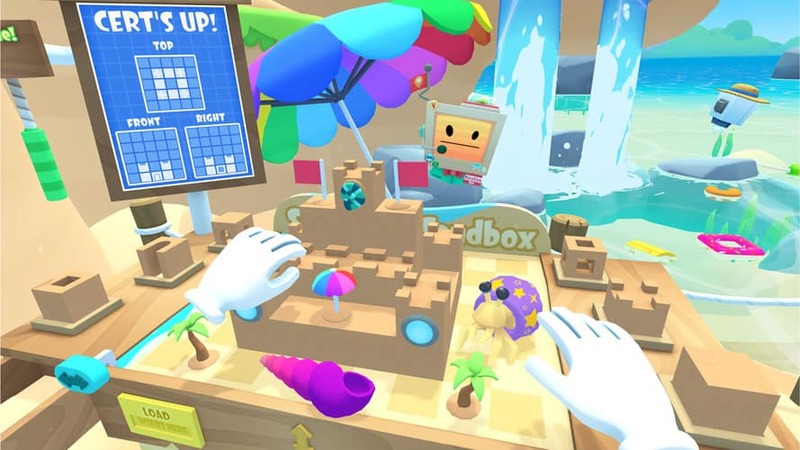 Just like its predecessor, the game has you participating in a series of mini-games and activities at the request of cute robots attempting to replicate everyday human life. Things often go left as the robots’ interpretation of human activities is often ridiculously misguided. The activities you’ll take part in include building a sandbox, working on your ice-sculpting skills, and relaxing in a hot tub. You’re guided through each event by robots that each have a different personality and plenty of insight to share. The game has a lot of charm and can keep you entertained for hours thanks to the diversity of its mini-games and environments. 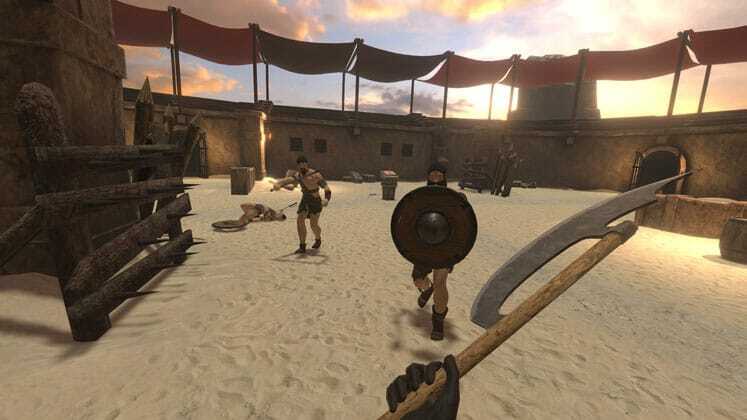 Blade and Sorcery is a medieval fantasy sandbox game that’s structured around melee combat and designed from the ground up for VR. The game has some of the best controls and realistic visuals you’ll find in a VR title while not sacrificing its gameplay. Most of the game is centered on defeating groups of enemies in creative and gruesome ways by using swords, axes, bows, and even spells. You can play as a Warrior, Ranger, and Sorcerer, with access to an arsenal of different weapons and skills to help slay enemies. The game also allows you to pick between different combat stances, adding another layer to its gameplay. If you’re a fan of Skyrim VR and don’t mind gore, this game may be for you. 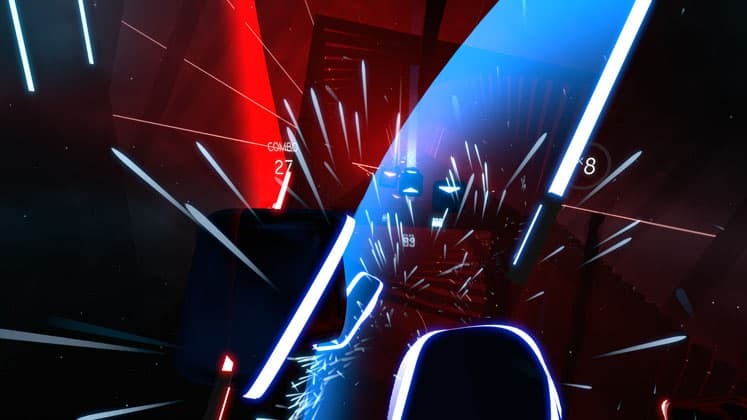 Beat Saber is a sword-slashing rhythm game that has you slicing blue and red cubes with your “sabers” in tune with the beat of the song. In addition to building up your multiplier by hitting blocks, obstacles appear in the game that you have to dodge in order to keep your combo going. A neat feature of the game is the ability to add custom stages and tracks and share them with other players online. The two-handed, sword-wielding mechanic makes great use of VR controls and if anything, gives us an excuse to pretend we’re a master swordsman. This game is great for those who love mastering tracks on expert difficulty, or anyone just looking for a fun party game to show off to friends. HHH is less of a standalone game and more of a collection of arcade experiences. 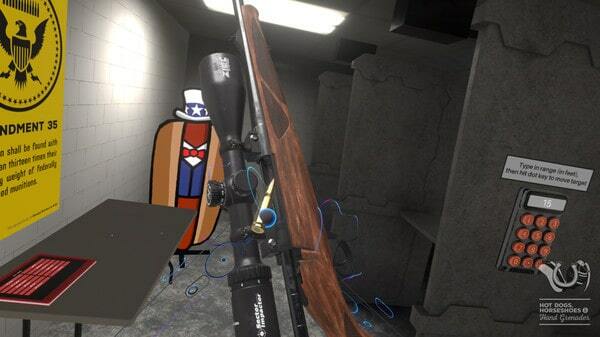 Think of it like a VR sandbox that’s will with an insane amount of different guns you can wield and plenty of bipedal hotdogs that need killing. You’ll spend most of your time exploring the game’s different modes, of which there are many. For example, the mode ‘Take and Hold’ has you infiltrating guarded rooms, stealing loot, and holding your position for a period of time. Even though it’s now over three years old, this title is still known for having some of the most realistic VR gun physics, especially when it comes to reloading and handling the game’s 250+ different weapons. Sprint Vector is an arcade racing game played in VR that has you using gestures in order to control your character’s movement. You’ll be competing against enemy AI and other players online, in races which put your parkour skills to the ultimate test. 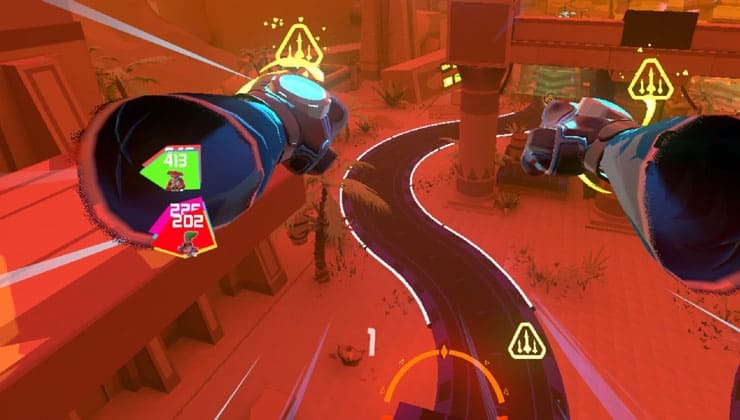 While power-ups prevent the game from ever taking itself too serious, there is a steep learning curve with mastering Sprint Vector’s techniques. Speed is gained by swinging your arms, turns are performed by braking with one arm and still moving with the other, and wall climbing is executed by reaching up over your head. If you’re a VR veteran or someone that’s looking to work up a sweat, this game provides a thrilling fast-paced experience that will have you feeling like a rollerblading god. As the title suggests, I Expect You to Die places you in a number of tense encounters where death is imminent and the only thing that can save you are your spy instincts. You play as an international spy tasked with defeating an evil corporation; however, in order to do so you will first need to have your abilities tested by surviving completing a variety of escape-room scenarios. Challenges range from defusing a bomb to escaping a sinking vessel, to crafting a chemical weapon. 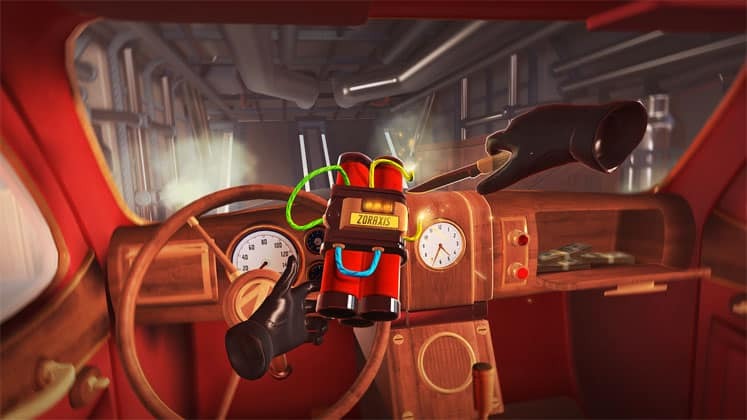 While learning how to maneuver objects does require some practice, the game’s writing and over-the-top action are enough to keep you engrossed in this whimsical spy adventure. 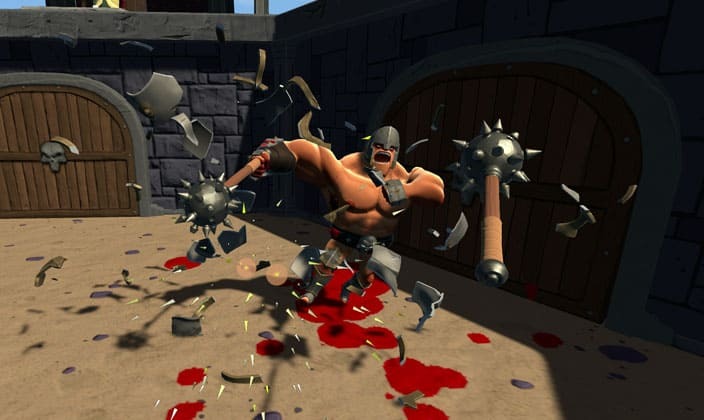 Gorn is a VR gladiator simulator made by Free Lives, the developers of Broforce and Genital Jousting. The game has you entering an arena where you’ll have to face off against a myriad of fierce and formidable warriors. Combat is fully physics driven, resulting in some satisfyingly brutal executions as you tear through enemies with swords, maces, bows, nunchuks, throwing knives, giant hammers, or just your bare hands. This game is great for anyone who doesn’t mind badly animated enemies and can get creative while tearing apart endless waves of gladiators. Red Matter is a Sci-fi puzzle adventure game that has your character travelling to a moon orbiting Saturn in the midst of a Cold War with a rival state named Volgravia. You are tasked with infiltrating a secret base and solving a variety of puzzles in order to progress through the story, which extends beyond what you’d expect. One of Red Matter’s highlights is its UI, which is designed perfectly for VR. 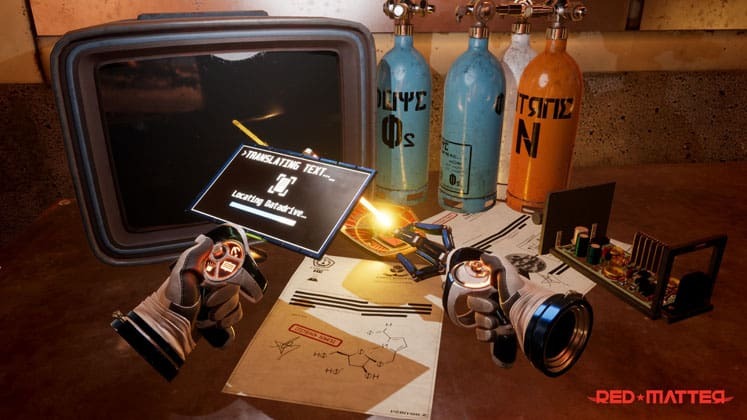 Controls are mapped to buttons that make sense for headset play and puzzles are designed in ways that keep you engaged with the game’s environments. 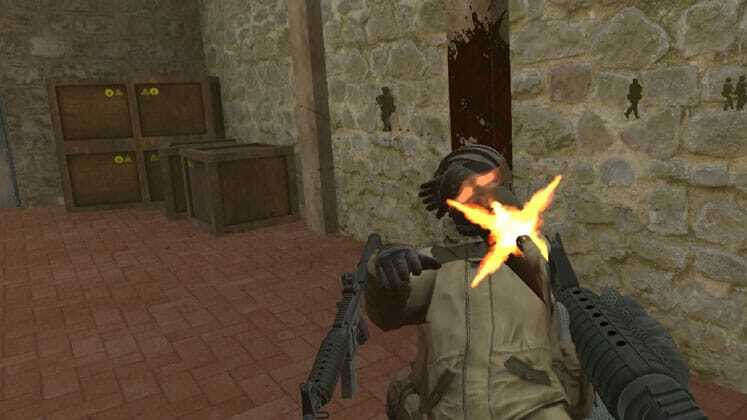 Pavlov VR is a multiplayer military shooter that shares a lot of similarities with CSGO. The game is centered on its main game mode, Search and Destroy, which has you competing against other squads. Matches are fast-paced, with combat feeling surprisingly realistic for VR. A lot of VR multiplayer shooters tend to have extremely low playerbases, which can make finding a match annoying. Thankfully, Pavlov VR has a strong community of active players, even three years after release. The developers are constantly making updates and adding new features to the game as well. 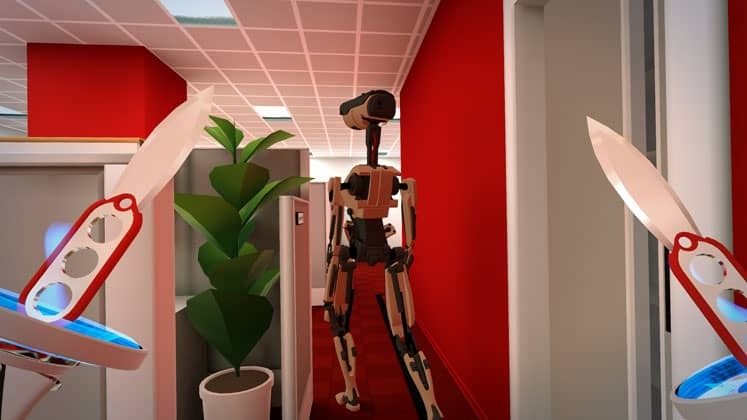 Budget Cuts is a VR stealth game that has you trying to escape the offices of the mega conglomerate TransCorp, after learning they’ve dispatched robot soldiers to take you out. Your only means for survival are deadly throwing knives and your teleportation ability, which allows you to survey areas where enemies may be patrolling. The game features satisfying close-quarters combat and engaging stealth mechanics. Budget Cuts is great for anyone that likes action games and doesn’t mind getting robot blood on themselves. The Exorcist: Legion VR takes a well-known property and turns it into a fantastic, albeit terrifying experience in virtual reality. You play as a detective who’s just gotten a call about a missing priest. 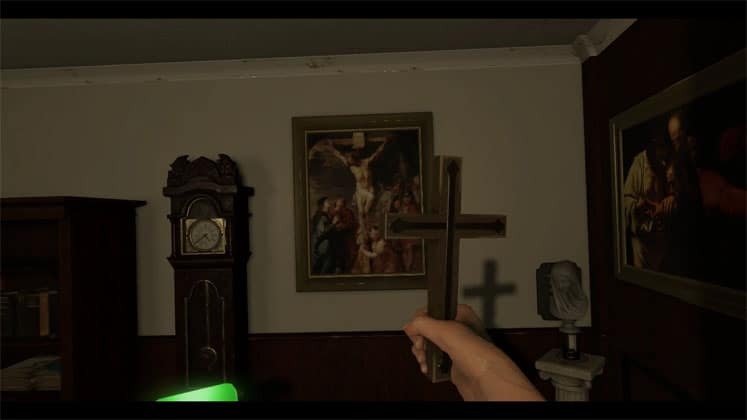 You start out by investigating a church, then a psychiatric ward, a creepy house, and a couple more equally unsettling locales as you try to piece together what’s happened. If you’re not a fan of jumpscares, you’ll be glad to know Legion VR doesn’t take the cheap route, and instead utilizes subtle cues in order to create an atmospheric horror experience. Whispers from dark corners and mannequins that seem to move only when you look away will lead you to paranoia as you search for clues across the game’s five chapters. 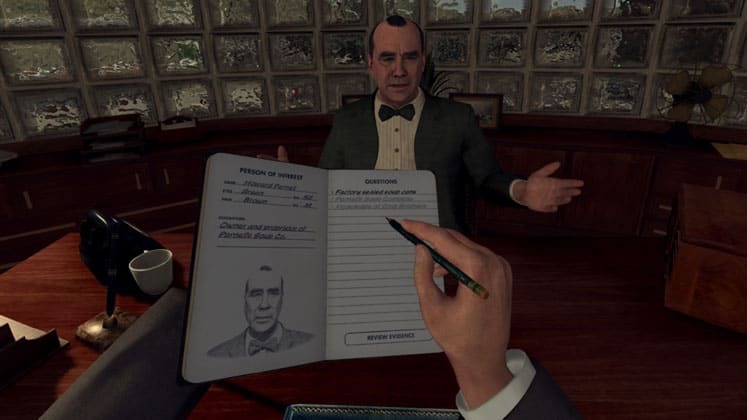 LA Noire: The VR Case Files puts you in the shoes of Detective Cole Phelps as you try to solve a wide variety of criminal cases ranging from traffic to arson, and even homicide. The game is set during the year 1947 in Los Angeles, a time when crime was rampant and violence was a daily reality. Although the VR version doesn’t include the full game, it still offers a meaty slice of content from the original’s story campaign. This game is great at creating an atmospheric experience, allowing you to interact with objects in crime scenes, and jot down notes as you interrogate potential suspects. 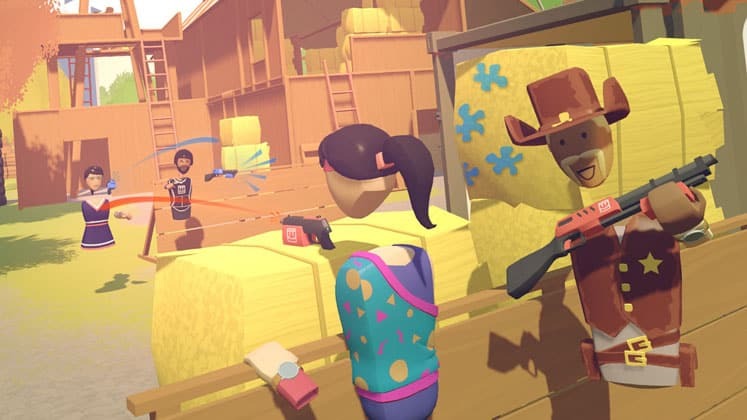 Rec Room is a free-to-play VR social app where players can interact and play a variety of mini-games like Paintball, Laser Tag, and a VR version of a battle royale called Rec Royale. Since its release in 2016, Rec Room has gone on to build a massive community of players, thanks to its support for nearly every type of headset on the market. The game features crossplay, allowing you to play with your friends across all platforms and the developers are always adding new content for players to explore. This game is great for hanging out with friends and meeting other VR enthusiasts. 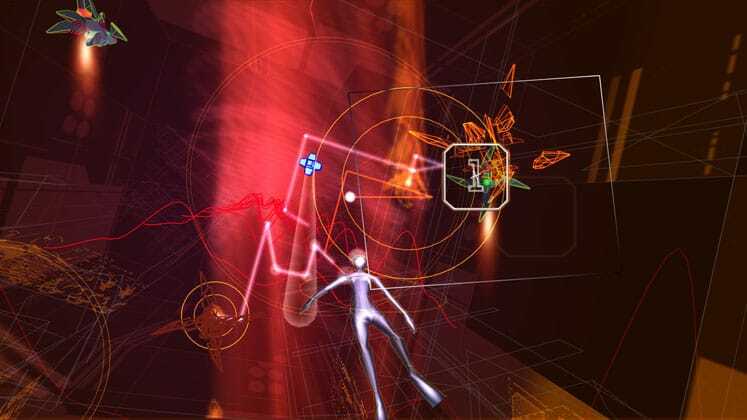 Rez Infinite is a rail shooter that fully supports VR headsets. The game has you exploring vivid and evolving cyberspace environments as you mark targets to be destroyed. Most notable is Rez Infinite’s soundtrack, which consists of immersive, hard-hitting techno beats that sync with the game’s many giant boss battle transformations. This game is great for anyone that wants a psychedelic VR experience that’s filled with plenty of atmospheric elements. 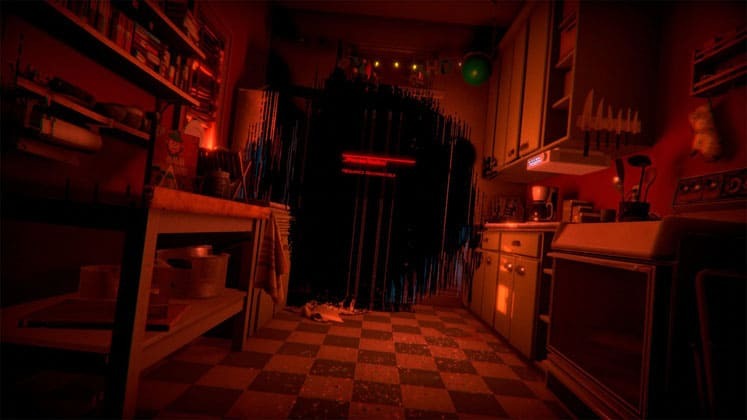 Transference is less of a game and more of a VR experience. While brief in its 90-minute playtime, it takes you along as a man obsessed with simulating consciousness uses himself and his family as test subjects for a new technology he’s been working on. You relive key moments multiple times throughout the game, each time through a different family member’s perspective. Each instance offers new insight on what took place and how that character interpreted the memory. This gameplay mechanic sums up Transference itself, as the game’s story is very much left up to you to interpret and make sense of based on your own perspective and bias. 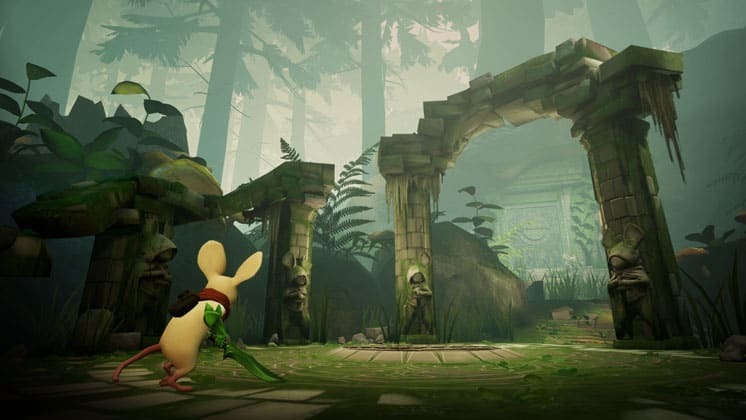 Moss has you take on the role of ‘The Reader’, a silent figure that guides the game’s mouse protagonist Quill on an adventure worthy of fairy tales. By working together with Quill, you’ll be able to solve puzzles and maneuver through platforming challenges as you defeat enemies along the way. While its playtime is brief, Moss does a great job at building its fantasy-world and expanding on its narrative. Over time, you’ll grow to cherish Quill and the bond you two have built over the course of your epic quest.